These days due to busy schedule, people are not interested in wasting their time at clinics for scheduling a doctor’s appointment. Hence, we have developed a Ready-made Doctor Appointment Booking Script to serve this purpose. We have a strong market presence over the past 12 years and we are always looking forward to develop products as per the trend. Hospital Search Script is a fully responsive design that is developed using PHP 5.4 and MySQL 5.3 with Bootstrap 3.0 and can withstand a load of eight to ten thousand users every second. The patients can view the availability of doctors, their official profiles, and their specialization of numerous and others with our Practo clone script. With, due consideration of the availability, the individuals discretion and the user can book an appointment with the doctor in advance for a personal visit by them at the scheduled time and date. 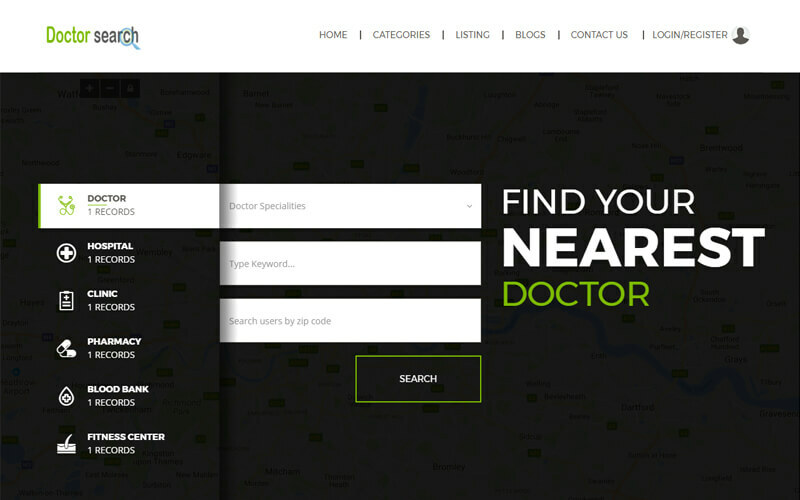 Review: The highest advantage of using this Online Doctor Booking Script is that it provides the review option. So the patients can check the reviews and book their appointments accordingly. Monetization: Doctor Booking Script helps to you to draw money in the form of doctor’s membership fees, premium listings, membership packages, newsletters, and banner ads. Multicity and search: Our script supports multicity and advanced search options amongst unlimited categories. Security: We have developed the script with a completely secure code to save your website from hacker attacks. SEO & User Friendly: It has user friendly navigation and is SEO optimized so that you will always get maximum number of hits compared to competition. Admin Rights: The admin has rights to manage the listing of doctors, member package rates, reports on timely basis, etc. Post-sales support: We provide brand free products and full technical support for 1 year along with 6 months free update support and moreover, once you buy the script, your website will be live within 24 hours! Recently I bought this script it works well with what I need to do. I had some trouble with one of the script. I was given guidance to the support team they were extremely helpful and quickly get back to track on with what I want to do cannot rate this script or support team highly enough. I say thanks for PHP Scripts Mall Company for launching this software with more advantages. I was able to get more functionality with clear code.